Real Madrid maintained their six-point difference over Barcelona in the La Liga table by escaping with a point at Camp Nou in what was below-par Clasico. Luis Suarez seemed to have sealed 3 points with a 53rd-minute header, but Sergio Ramos scored in the dying minutes to end the match 1-1. While Barcelona, can consider themselves lucky to have taken the lead after a frustrating first half, Real Madrid can breathe a sigh of relief as Sergio Ramos yet again scored a header in the final minutes of the game to rescue them. After a cagey first half and lack of quality chances from open-play, both sides were able to get out of the Clasico safely after initial plans from both the managers failed. Barcelona (4-3-3): Marc-Andre Ter Stegen; Sergi Roberto, Gerard Pique, Javier Mascherano, Jordi Alba; Ivan Rakitic, Sergio Busquets, Andre Gomes; Lionel Messi, Luis Suarez, Neymar. Luis Enrique was given a lifeline when captain Andres Iniesta recovered from a knee injury to make it to the bench. But uncertainty over centre-back Samuel Umtiti made the Catalan go with the combination of Mascherano and Gerard Pique in the heart of the defence. Despite struggling to make an impact in the midfield, Andre Gomes started for the Catalans due to the absence of Rafinha Alcantara. 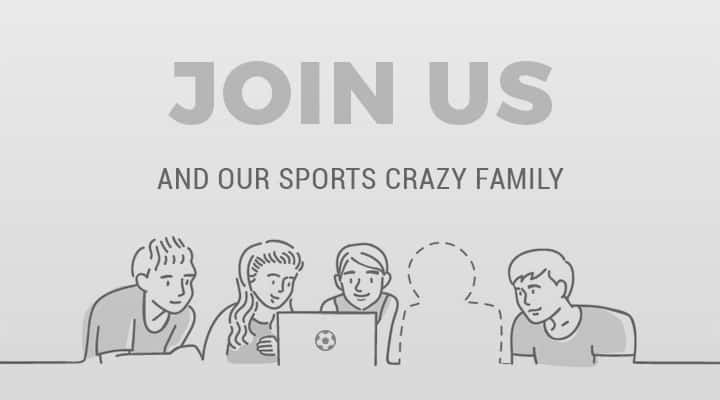 Real Madrid (4-3-3): Keylor Navas; Dani Carvajal, Raphael Varane, Sergio Ramos, Marcelo; Mateo Kovacic, Luka Modric, Isco; Lucas Vazquez, Karim Benzema, Cristiano Ronaldo. Real Madrid on the other hand, were without the services of star winger Gareth Bale, who was sidelined due to the tear in his ankle tendons with Zinedine Zidane opting to go field Lucas Vazquez in his place. While Luka Modric recovered in time for the big clash, Zidane decided to field the duo of Mateo Kovacic and Isco in place of Casemiro and injured Toni Kroos. Raphael Varane was given the nod to start over Pepe at centre-back, with Dani Carvajal selected ahead of Danilo at right-back. 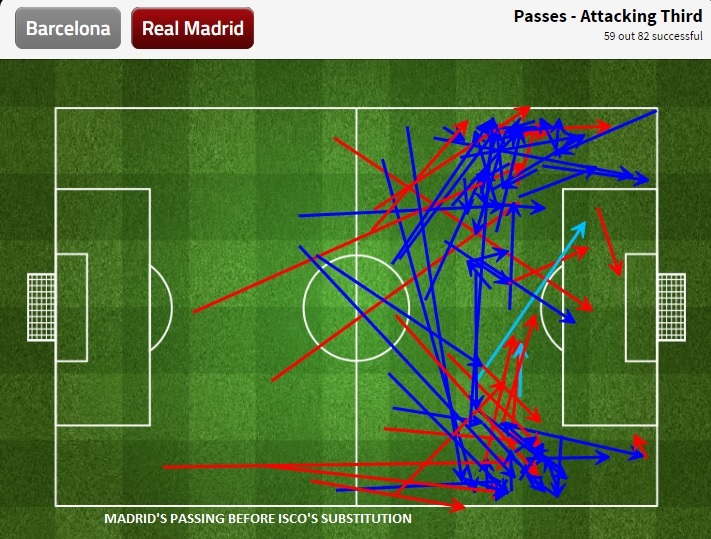 With Andres Iniesta missing from the starting XI and Andre Gomes lacking the level of creativity of the Spaniard, Zinedine Zidane made sure that Real snuffed out Barca's all supply lines in the midfield initially. Either of the front three—Ronaldo, Vazquez or Benzema would get back to help the midfield to form a four-man wall when the ball reached Busquets or Rakitic. In the absence of the tenacious Casemiro, Modric shouldered the responsibility of tracking Messi whenever the Argentine dropped which prevented Suarez from making his usual runs behind the defence. 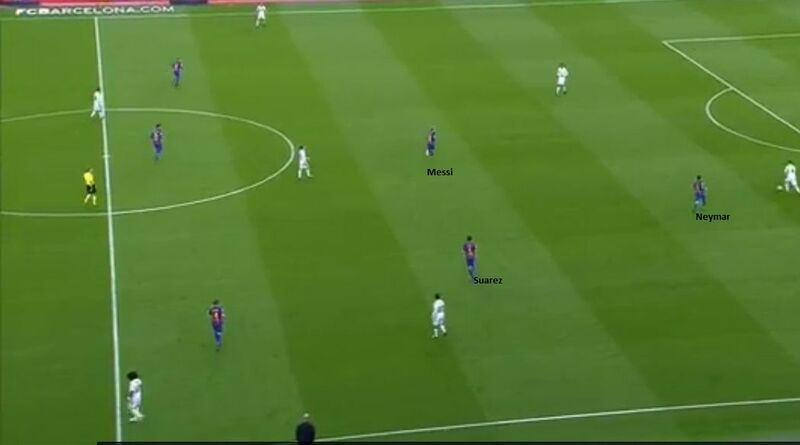 With Iniesta, forming small triangles and building patiently from the midfield was always the norm whenever Barca faced tight defences. But with Andre Gomes being a more direct player, the link up between the midfield three of the hosts did not happen in the first half. With Messi dropping deep and working through the centre in the final stages of the first half seemed to have opened up some spaces in and around the box, but the lack of good movement from either Suarez or Neymar prevented the Blaugrana from creating any meaningful chances. With almost 27% of their league goals coming from dead-ball situations this season, Barcelona turned to their strength in set-pieces with the spark of creativity in the attack. While Real went with a very physical approach to haul the Barca players off the ball, conceding a free kick within the range of Neymar and Messi gave the hosts a sniff into the match. And despite having a below-par game, Neymar whipped in a great ball from the left side and Raphel Varane, who was a rock at the back for Real made the costly mistake of turning away from the ball which allowed Suarez the chance to score. 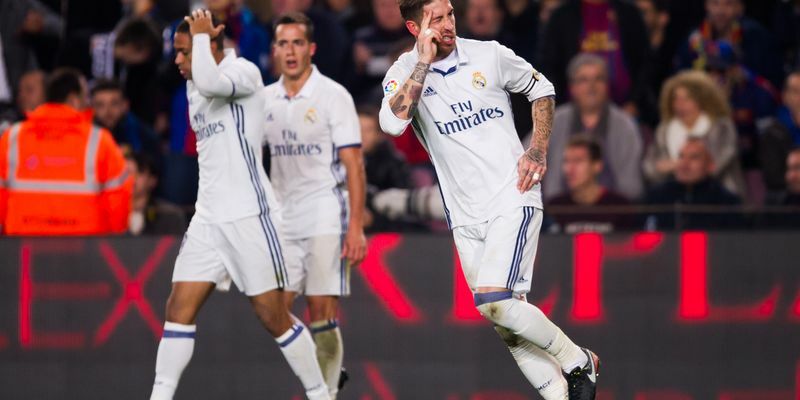 While, Barcelona looked the brighter side in second half, Real Madrid turned to their crisis man Sergio Ramos who bailed the Blancos out of tough situations on a number of big occasions. And Andre Gomes' poor marking inside the box was enough for the Real captain to score the leveller. Barcelona, who are known for their passing game, have recorded their worst passing stats in the league this season, by misplacing almost 30% of their final-third passes which led to just a solitary chance until the hour mark. 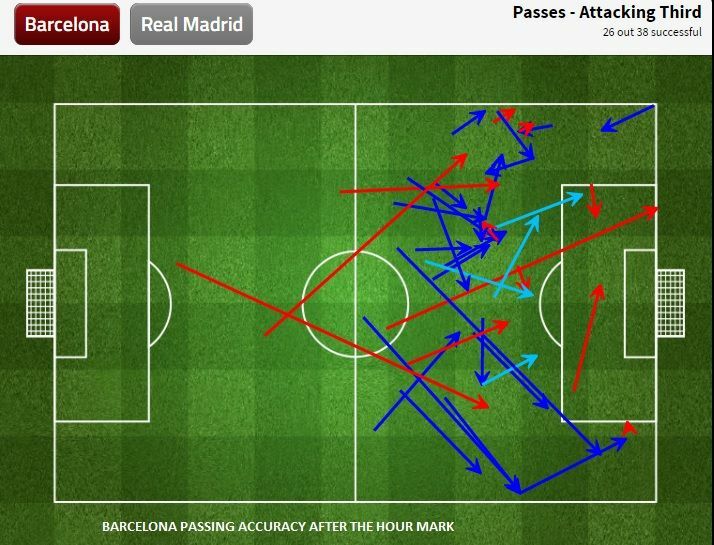 And it was only after the introduction of captain Andres Iniesta in the 60th minute that put a check to these errors. With the 53rd-minute goal boosting their confidence, Barca were more clinical with their passing while being their usual in possession. 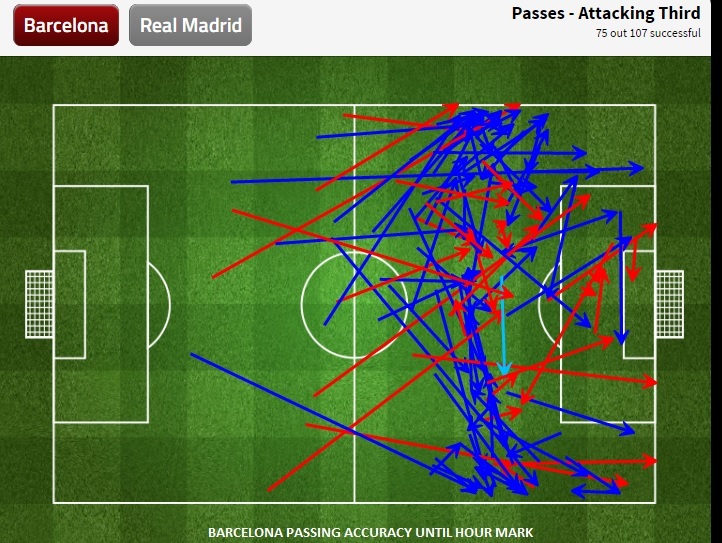 They created three more chances and their passing accuracy also improved to 82% after the hour mark. However, the first substitution had a counter effect on Real Madrid, who were far better than Barca until the turn of the hour when Zidane decided to bring on Casemiro for Isco. The Spaniard who was the best player for the visitors going forward, created two of Madrid's three best chances in attack while also contributing in the defence by marking Suarez brilliantly. But much to his frustration, Zidane decided to save him from another booking which had Real scrambling to knit passes together also allowing Barca to win back possession easily. 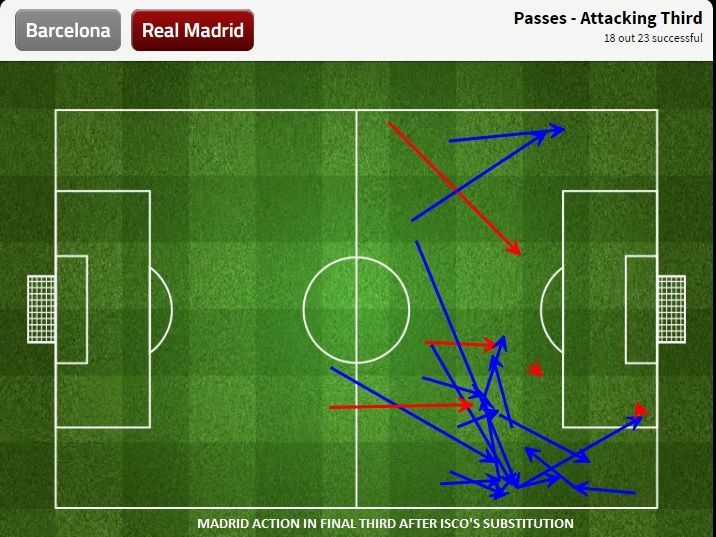 Despite Ramos scoring the goal, Real have been sub-par while going forward without Isco.